GREAT FAMILY HOME IN POPULAR LOCATION! Derbyshire Properties are delighted to offer to the market this beautifully presented refurbished double fronted semi-detached home situated in a pleasant cul-de-sac location within the popular village of Blackwell. The property benefits from uPVC double glazed windows and external doors, a gas central heating system and off-road car standing space. The accommodation in brief detail comprises: a Storm Porch, Entrance Hall, a good sized dual facing Lounge with feature fireplace, an attractive fitted Dining Kitchen with integrated Neff cooking appliances, Rear Hallway and a Utility Room. 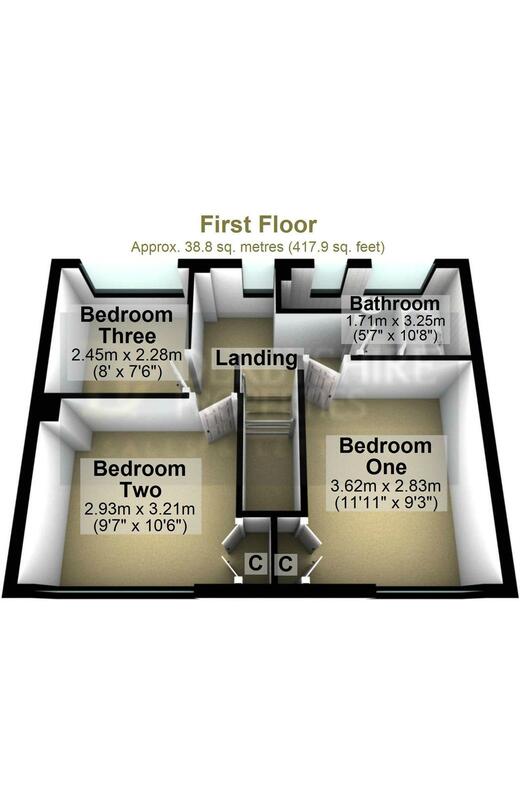 To the first floor there is a Landing, three generously appointed Bedrooms and a modern Bathroom with attractive ceramic wall tiling and shower fitting. Outside, the property has a front garden and driveway, whilst the rear sees an enclosed westerly facing landscaped garden which is laid to lawn and has a paved patio area and ornamental gravelled seating area. This property would ideally suit a growing family or First Time Buyer and we would strongly advise an early inspection to avoid disappointment. Blackwell and neighbouring Westhouses is within walking distance of open countryside and has excellent communication links to the M1 via junction 28 and A38 trunk road. Larger towns and cities of Alfreton, Mansfield and Chesterfield are close by and neighbouring cities of Derby and Nottingham are easily accessible. Blackwell has a number of local amenities including a post office and local schooling with Blackwell being ideally situated for the popular Tibshelf secondary school. From King Street, Alfreton proceed to the traffic lights and straight over onto Chesterfield Road. Continue down the hill and turn right at the bottom signposted towards Westhouses, Blackwell and Newton. Continue for some time eventually arriving at Westhouses along Alfreton Road. Proceed through Westhouses passing over the railway bridge and entering Blackwell along Alfreton Road. Turn right onto Primrose Hill and left onto Glinton Avenue and the property is located on the left hand side. A glazed front entrance door opens into the front entrance porch with glazed units, vinyl flooring and internal door leading to the entrance hall. 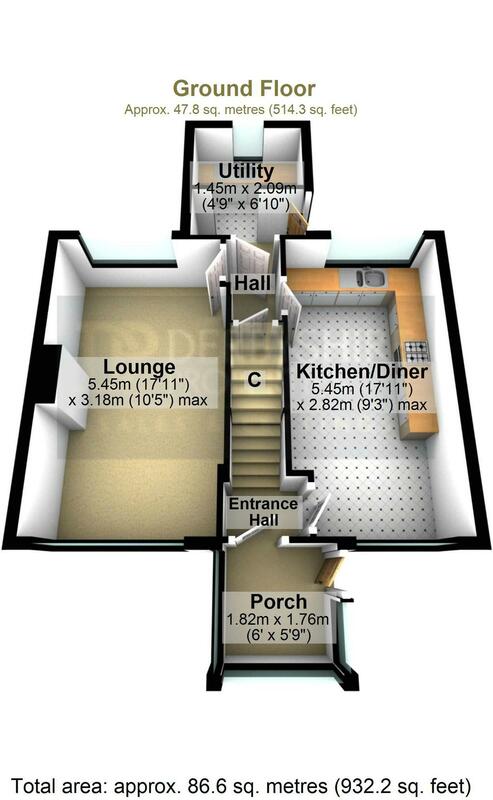 With stairs rising to the first floor accommodation and doors lead to lounge and dining kitchen. 17' 11" x 10' 6" (5.46m x 3.20m) with dual aspect uPVC double glazed windows, central heating radiator, feature fire surround with an inset stainless steel electric fire, decorative coving to the ceiling and a TV aerial point. Door leads to the rear porch. 17' 11" x 9' 4" (5.46m x 2.84m) Appointed with an attractive range of beech effect wall and base units with drawers and soft closure doors, rolled edge work tops incorporating an integrated four ring Whirlpool electric induction hob with matching Neff electric oven under and a stainless steel Neff extractor fan over. In addition there is an integrated dishwasher, stainless steel single drainer sink unit with 1¼ bowl and mixer tap, complementary ceramic wall tiles to the work surface splashback areas, ceramic tiled flooring, central heating radiator, uPVC double glazed windows to the front and rear elevations and door leads to the rear hall. With an understairs storage cupboard and door leading to the rear porch. With a uPVC double glazed rear entrance door and door to the utility room. With plumbing for an automatic washing machine, stainless steel single drainer sink unit, inset rolled edge work tops and fitted base cupboard. With loft access and a uPVC double glazed window to the front elevation. 11' 11" x 9' 3" (3.63m x 2.82m) with a uPVC double glazed window to the front elevation, central heating radiator and a built-in double wardrobe. 10' 6" x 9' 7" (3.20m x 2.92m) with a uPVC double glazed window to the front elevation, central heating radiator and built-in double wardrobe. 8' x 7' 5" (2.44m x 2.26m) with a uPVC double glazed window to the rear elevation and central heating radiator. 10' 8" max 6' 2" min x 5' 7" (3.25m max 1.66 m min x 1.70m) Appointed with a modern white suite which includes a panelled bath with mixer tap and electric shower unit over and glazed shower screen, low level WC and vanity wash hand basin with mixer tap. There are two uPVC double glazed windows to the rear elevation, ceramic floor tiling, partially ceramic tiled walls and heated chrome effect towel radiator. At the front of the house there is a lawned garden with footpath leading to the front entrance door and a paved and gravelled driveway providing off-road car standing space. At the rear of the property there is a good sized enclosed garden which enjoys a westerly aspect which is mainly laid to lawn with maturing shrubs planted to the borders, fencing to the perimeter, paved patio and a separate gravelled low maintenance seating area with planted shrubs and a timber garden shed.